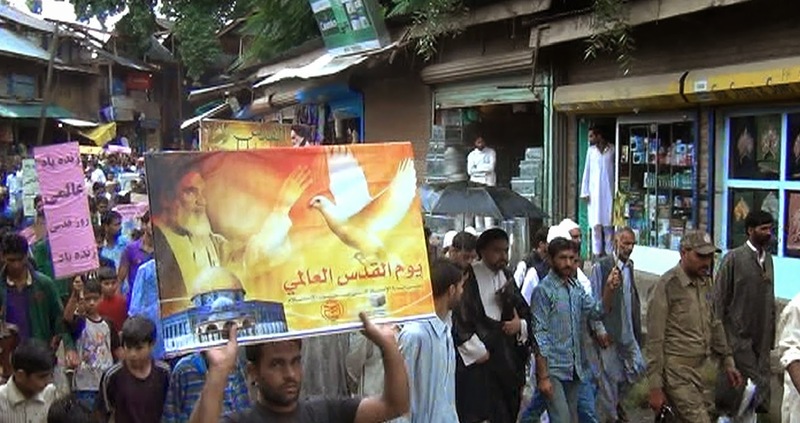 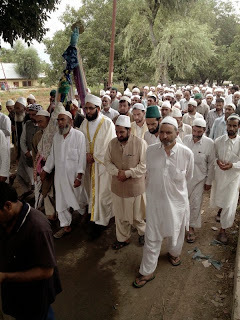 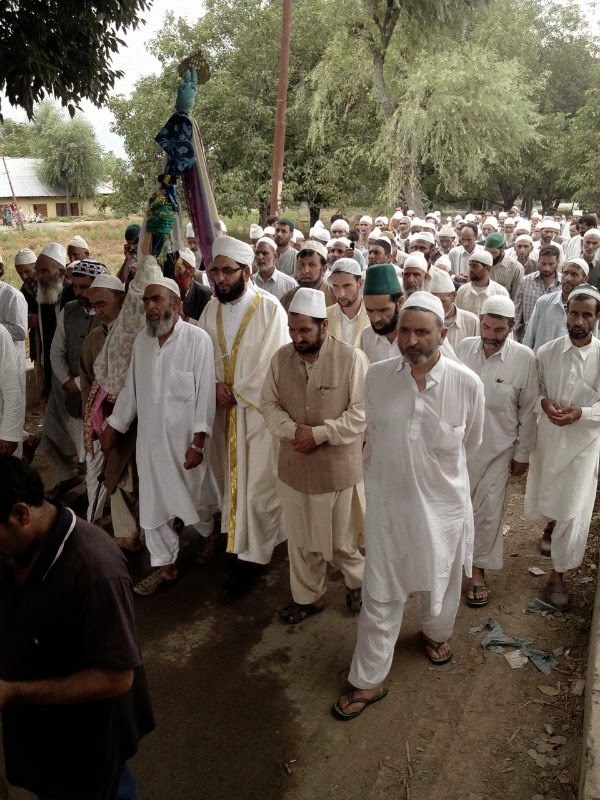 Jammat-e-Islami holds Ijtimah at Islamabad in South Kashmir. Kashmiris and Sikhs jointly protest outside India's High Commission in London. 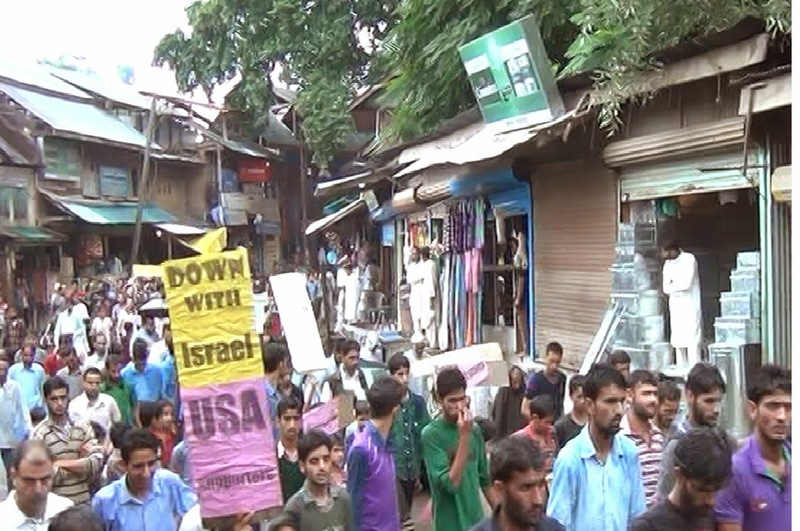 Nawaz Sharif addressing at addressing at Islamabad Pakistan on independence day of Pakistan today. 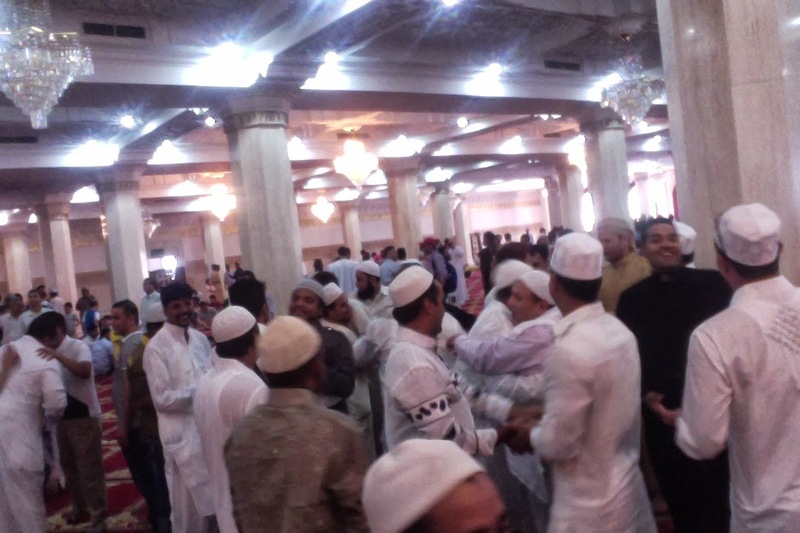 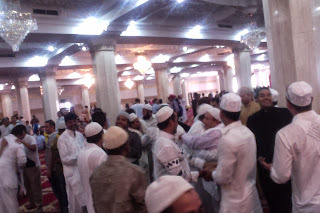 Eid celebrated in China today Aug 8, 2013: Chinese Muslims greet foreign Muslim traders soon after Eid prayers in a grand mosque. Influx of Arab traders in China: On streets of China Arabic is emerging as 2nd business language. 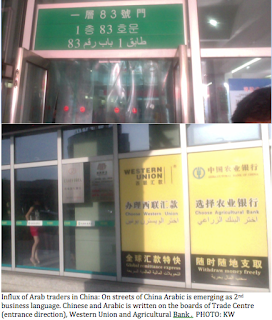 Chinese and Arabic is written on the boards of Trade Centre (entrance direction), Western Union and Agricultural Bank .